Here’s another short from the Interpretations Film Initiative. Good Shot stars Leonardo Nam and Elizabeth Ho. Think of it as a commercial for an energy drink/condom complete with CGI robots. Another great concept utilizing the same script. See some of the other shorts commissioned: Far East Futura, Orient Express by Wong Fu Productions, Represent by Iris Yamashita and Blowout Sale with Danny Pudi. Get inspired and join the competition. This entry was posted in comedy, shorts on May 31, 2010 by Kevin Hsieh - channel APA. In this episode of Ktown Cowboys, the story starts were Episode 3 left off in the Ktown bar. Will confidence and swagger help get the girl? See if the guys can get from the bar scene to the club scene. This entry was posted in comedy, shorts and tagged ktown cowboys on May 31, 2010 by Kevin Hsieh - channel APA. 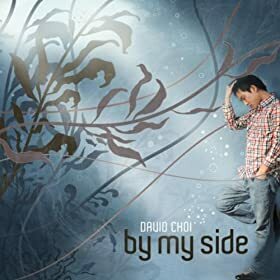 BTW – if you didn’t know, David Choi may lose YouTube channel. This entry was posted in music on May 31, 2010 by Kevin Hsieh - channel APA. Just saw this Kia Soul Hamster commercial. It’s hamsters in the hood. The Korean car manufacturer put on a hip look for their cars by using the phrase “you can get with this, or you can get with that” from Black Sheep’s “The Choice is Yours.” The 90’s tune gets a second life as these hamsters compare their alien green Kia Soul to toasters, washing machines, and cardboard cars. It’s a pretty entertaining commercial. Do you want to get with this or that? update: for the 2012 model, the hamsters are back : Kia Soul Hamster go shuffling Commercial. This entry was posted in animation, cars, commercial on May 31, 2010 by Kevin Hsieh - channel APA. Here’s a special post for Memorial Day. “442-Live with Honor, Die with Dignity“ is the second installment of the Japanese American trilogy following the previous documentary film; “Toyo’s Camera –Japanese American history during WWII”. The veteran film director Junichi Suzuki and UTB, a bilingual Japanese television station have produced the feature documentary film collaborating with the music of the Grammy and Golden Glove award winner “Kitaro” again. 442 offers a comprehensive overview of the formation, history and legacy of the 442nd Regimental Combat Team, the most highly decorated army unit in U.S. military history. During WWII, soldiers of the 442nd Infantry Regiment, composed mainly of Japanese Americans, fought not only against the enemy, but fought against prejudice, facing severe racial discrimination in their homeland. Many of the veterans volunteered from internment camps to prove their loyalty following the Japanese attack on Pearl Harbor. The 442nd RCT is widely credited for restoring the nation’s trust in Japanese Americans post-war and for opening opportunities for all Asian Americans for future generations. 442 is “unprecedented” in providing a comprehensive history of the unit and first-hand, personal view into the lives of the Nisei (second-generation) Japanese American veterans. Many veterans struggled with Post Traumatic Stress Disorder following the war and often never spoke of their war experiences, even to their own families. Now facing mortality in their late eighties to early nineties, the famed veterans finally share their war experiences with their families for the first time as they recall pivotal moments in battles that forever changed the course of Japanese American and Asian American history. Testimonies of former veterans including Senator Daniel K. Inouye (D-HI) and interviews with actor George Takei and prominent community leaders tell the largely unknown stories of unprecedented military bravery and valor of the veterans. Important historic battles and events are narrated by actor and filmmaker Lane Nishikawa using footages and photos from the Washington National Archives, enhanced with soul-stirring compositions by Grammy and Golden Globe Award-Winning Kitaro. Look for the film to hit theaters in July 2010. More details here. Love for their country and the Japanese values of “duty,” “dignity” and “honor” instilled by their immigrant parents shaped the values of these American-born soldiers, known as the “Purple Heart Battalion.” The 442nd received seven presidential unit citations and produced twenty-one Medal of Honor Recipients for their victories in the French and Italian Battlefronts during WWII. The 442nd is especially noted for breaking the last German line of defense at the Italian battlefront, the “Gothic Line,” with 2,500 men in only 32 minutes after several U.S. units of 20,000 men failed to break through after six months. Soldiers of the 522nd Field Artillery Battalion of the 442nd Regimental Combat Team, many of whom volunteered from internment camps, ironically liberated the last several hundred Jewish prisoners from a concentration camp in Dachau, Germany. This fact is widely unknown since the US Seventh Army (the 42nd Infantry “Rainbow” Division and the 45th Infantry “Thunderbird” Division) is officially credited for their release. This entry was posted in documentary, movies, politics on May 31, 2010 by Kevin Hsieh - channel APA. Closing out the 2010 APA Heritage Month, the White House released a video of a roundtable discussion. On May 17, 2010, Michelle Rhee, Frank Wu, and Kal Penn talked about “Dispelling of the Model Minority Myth.” Includes statements by Kiran Ahuja and Secretary of Education Arne Duncan. Kal Penn has been busy as he closes out his role at the White House. Earlier in May, he took part in the State of Asian Pacific America House Party 2010. Also check out APA Heritage Month commentary from Secretary of Commerce Gary Locke and President Barack Obama. This entry was posted in politics on May 31, 2010 by Kevin Hsieh - channel APA.